Our patients deserve the most advanced dental care. Adams & Cheek Dentistry now offers three-dimensional dental imaging, giving you a better understanding of your diagnosis and assuring that you are getting the best treatment possible. These dental imaging scans increase the clinical safety in more complex procedures by providing us with the most advanced, detailed images and the ability to rotate and move the images for maximum visibility. This advanced cone beam technology is used for dental implant treatment planning, root canal therapy and other complex procedures. This dental imaging is particularly useful and necessary for the planning and placement of dental implants. The 3D dental imaging system provides a quick scan that improves the opportunity to catch issues early, makes the health of the maxillofacial complex easier to understand and provides very reliable results. The scanning process only takes 14 seconds. 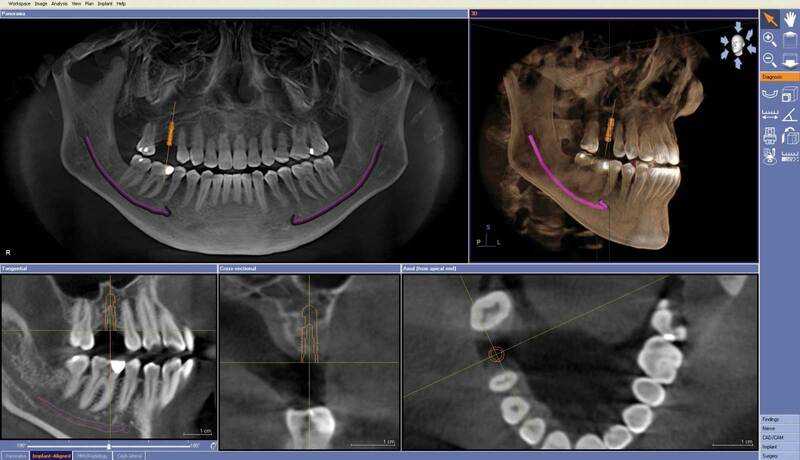 The doctor will review the scan with you, and you will be able to see your teeth, upper and lower jaws, sinuses, etc. – in 3D. If something is going on, the images will provide a means to see it earlier and help to provide a more accurate diagnosis.